Fat grafting is an emerging technique that began about ten years ago and continues to improve. This procedure will remove a patient’s own fat to re-implant it where needed. It is typically extracted from body parts like the abdomen, thighs, or buttocks, and injected into another area that requires plumping. A skilled surgeon with an artistic eye like Dr. Salomon can improve areas such as a patient’s facial features, buttocks, smooth out areas after liposuction, and the technology continues to develop for breast augmentation. 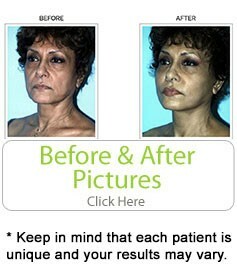 Fat grafting is done in combination with other procedures like facelifts for a more complete improvement. Fat grafting provides additional benefits such as permanency as a filler and it also helps in improving the quality of the skin. Stem cells found in our adipocytes (fat cells) have a rejuvenating effect on the skin improving wrinkles, pores, and sun damage leaving your face fuller and skin rejuvenated. What is fat grafting, exactly? Fat grafting involves identifying a source of fat on the body, and then transferring fat from that part of the body to somewhere else more in need. In many cases, surgeons remove fat from the thighs, abdomen, or buttocks, and use it as a plumping agent when performing facial procedures or some other plastic surgery operations on their patients. Is there any pain associated with this kind of procedure? Patients will generally experience a bit of soreness or swelling after the procedure is over, but their physician will almost always recommend some form of pain management that will minimize these problems. During the actual procedure, a local or general anesthetic will be used to ensure that patients experience no pain from the removal and transfer of fat. How long will it take for the procedure to work? Sometimes, only a single fat grafting session is required by patients. In other cases, though, it may take as many as two or three sessions to produce effective and noticeable results. This depends entirely on how the body responds to the procedure, as well as the kind of fat being used and the location where the fat is being implanted. Is there any reason I would not be able to have this procedure? Some people just don’t have enough fat on their body to aid in the removal and transfer of fat to another location. If this is the case, it’s likely that the physician will recommend a different kind of procedure that substitutes fat grafting for something more effective.